The new shoes came in! 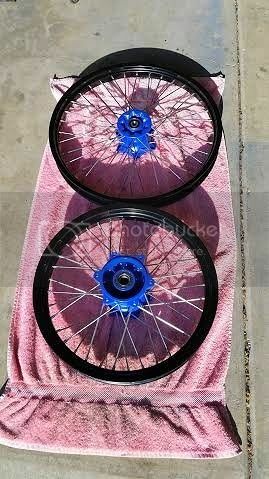 Time to get the hubs painted, the wheels laced and trued. 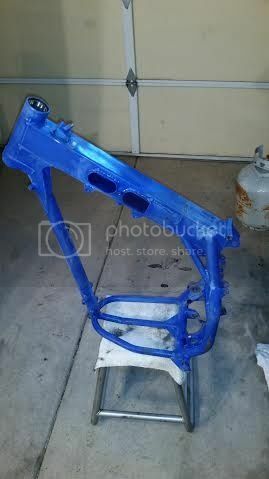 That old Husaberg powdercoat is some thick tough stuff. You may have to resort to burning it off with a torch first. Good luck and let us know how the blasting goes. 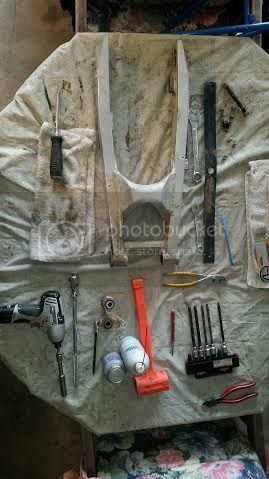 After some serious effort I got the swing "this" clean amazing the amount of caked on chain lube that had accumulated under swing arm in 23 years! 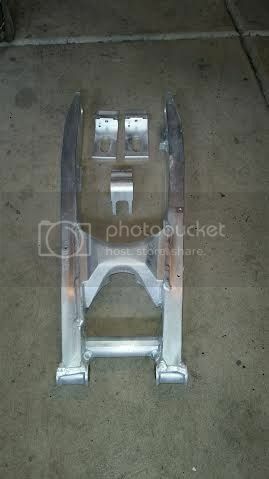 Anyone ever removed the swing arm axel inserts like I did? Well it took me awhile, but I was able to put some work into the 501. Definitely impressed with the quality of the 2 parts mixing spray can and its ability to spray nice and consistent. Sadly they are only good for 24hr once the hardener is released. I think he sent the bike up to M-Tech in Bend, Oregon to do all the carb work and fix the decompression set up, motor work was done by Eaton Powersports in Central Point, Oregon. 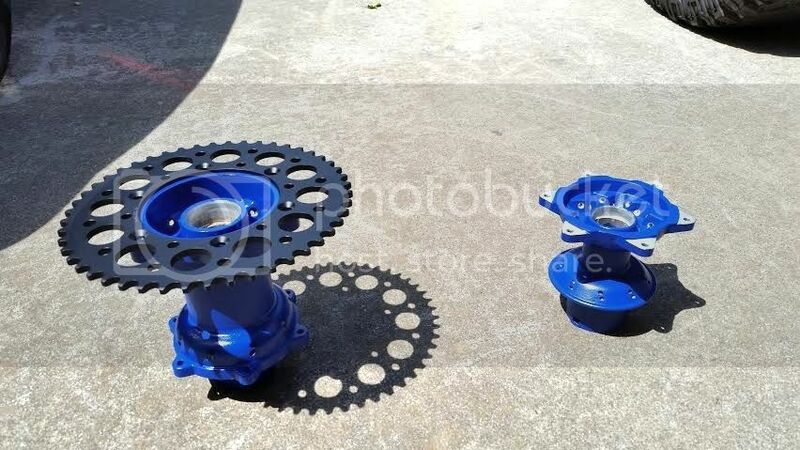 Having more money then time and correct tools plus the bike showing signs of bent valves I had Big Dave at Eaton Powersports (Husaberg Mechanic) do the top end. I then brought the bike for the carb upgrade work/jetting and De-comp to M-Tech. Matt, owner of M-tech lathed the air filter side of the carb smooth and turned an adaptor piece to mate the carb to intake boot. The new adaptor flange was then epoxied on. Last edited by Big Berg; May 11th, 2015 at 05:19 AM. I was able to get the wheels laced and trued today. 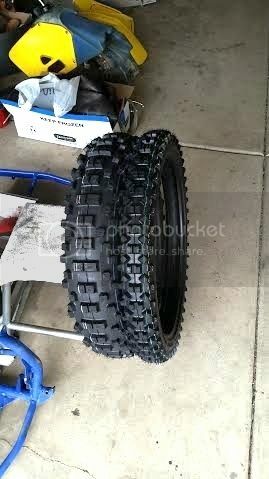 Next I will mount my new tires. 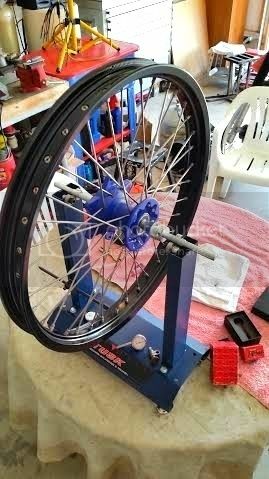 I am contemplating building some custom wave rotors for the bike. I have access to Solid Works and CNC.